Learn How to Create Beautiful and Innovative Flower Arrangements! This DVD will teach you how to make the Hand-Tied Bouquet with four different English styles. 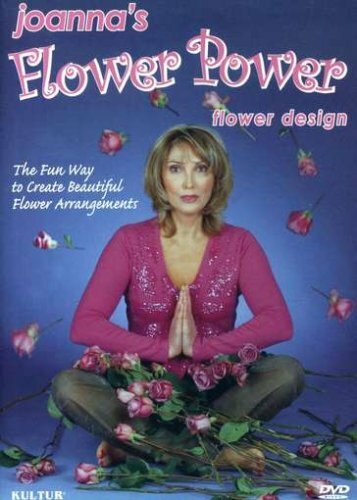 The Hand-Tied, the most fashionable and versatile way of arranging flowers, is taught straight from Out of the Bloom Flower School, London, UK..
Joanna is a very charismatic, funky lady, rather unconventional with a lively and vivacious personality. She believes that life should be fun and full of laughter and never taken too seriously particularly when you are creating beauty with flowers. Her flower design workshops offer a new, fresh and innovative approach to arranging and displaying, which escapes the ordinary conventional techniques. The art of flowers goes beyond the visual pleasure. It can truly be therapeutic. Learn how to create beautiful and innovative flower arrangements. Flowers are the only beauty, beside animals, that are designed by nature, put together by angels and give us a glimpse of heaven.